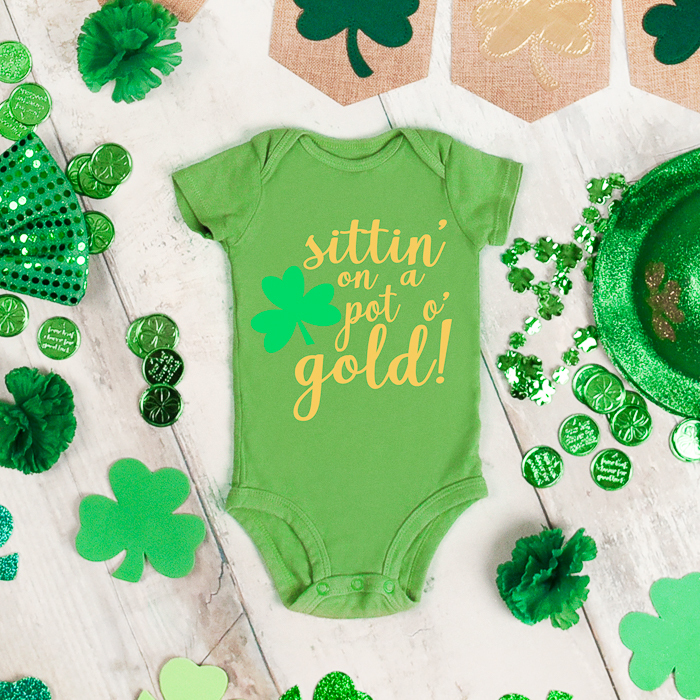 Make a St. Patrick’s Day baby outfit this year with our free SVG file that can be used in your Cricut or Silhouette machine. Your baby will look great and be safe from pinching once you add this adorable design to the front of a onesie. And yes they are always sittin’ on a pot o’ gold! 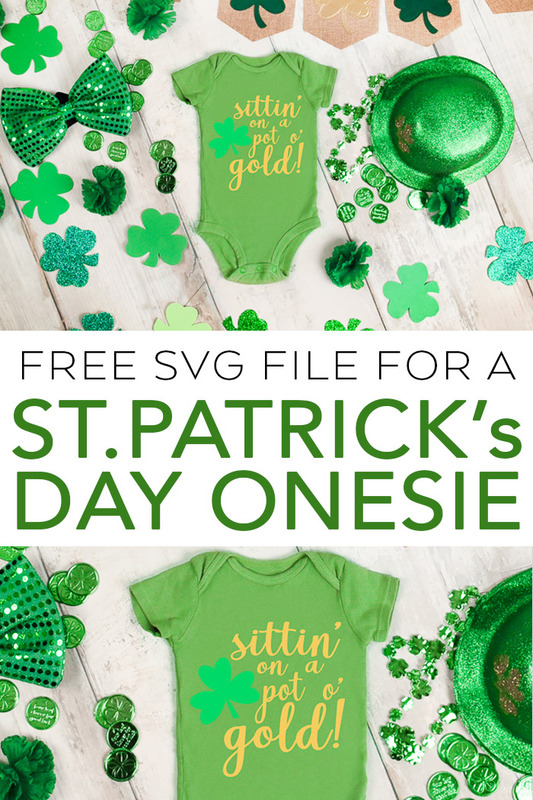 I also have 15 more free SVG files for you to use for St. Patrick’s Day at the bottom of this email. Y’all enjoy! First, you will need to download the file to make your onesie. To do this, just put your name and email in the form below and the SVG file will be automatically sent to you. If you have any trouble, please send an email to [email protected] and I will try to help! Next, you will actually need to make the baby outfit for your little one. Start by downloading the SVG file above and uploading it to your machine. You can find instructions for uploading it to a Cricut by clicking here. Then cut the file on your machine from heat transfer vinyl. Be sure to mirror your image and cut with the shiny side down on the mat. You can see which machine I prefer by clicking here. I used two colors of vinyl but that is optional. Weed away all excess including the centers of all letters. You want to be left with only what you want to add to your shirt. Then press the heat transfer vinyl to your onesie using an iron, heat press, or EasyPress. You can see which I like by clicking here. Peel back the carrier sheet to reveal your design. If any of the vinyl is lifting, be sure to press again before removing. 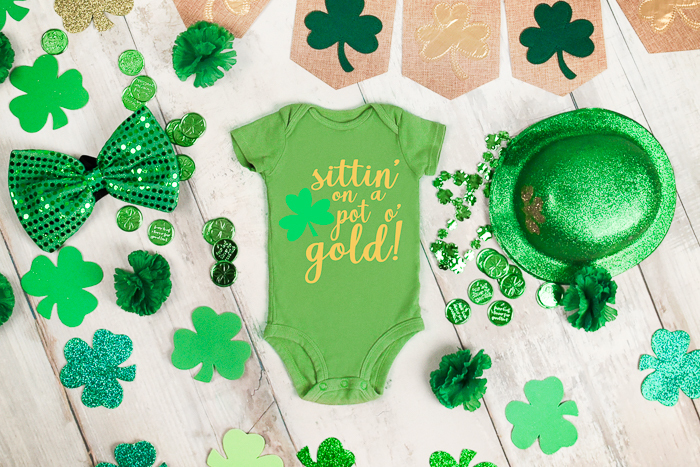 Your St. Patrick’s Day baby outfit is ready to put on your little one or even give as a gift! I love this funny St. Patrick’s Day baby outfit! Grab your supplies and start on your own version today! 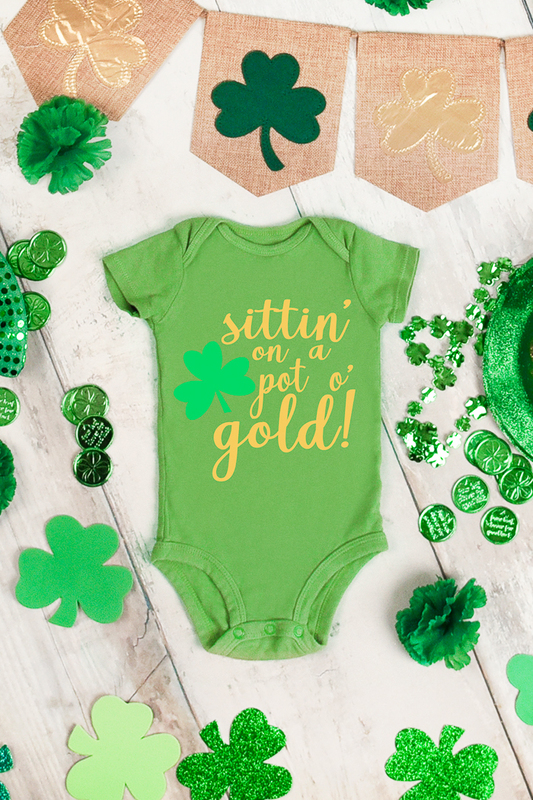 So, do you love this St. Patrick’s Day baby outfit and want more ideas? Try the free SVG files below! 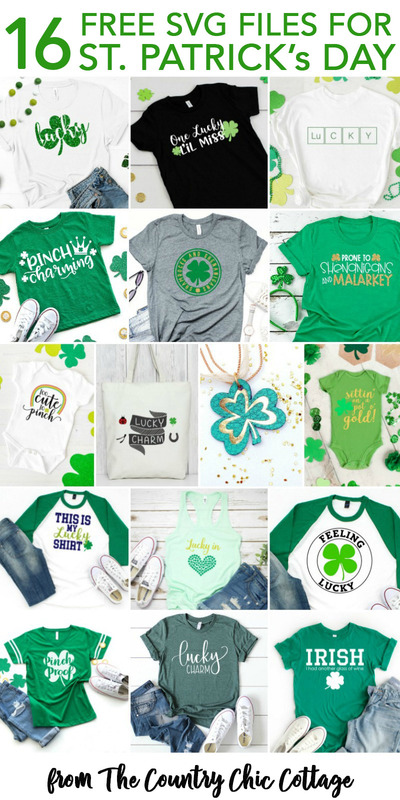 Now make this St. Patrick’s Day baby outfit or any of these other great craft ideas to celebrate the holiday this year. next post: Cricut EasyPress Versus Iron: Which is Better? Hi Lynette! Are you having trouble downloading? Put your email into the box in the post and it should be sent right to your inbox for download! You will need to put your email in the box above to get it sent to the email Susan.